This sounds like a VERY VERY VERY VERY VERY exciting book. I bet I’m gonna LOVE it!!!! 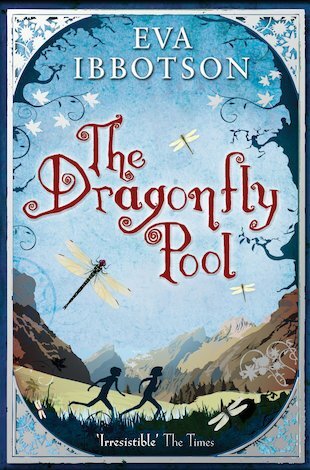 An enchanting story full of warmth and adventure. B-R-I-L-L-I-A-N-T!!!!!!!! Oh my what a book!!! I can’t describe it!!! brilliant! raed it twice already, just got it from the library going to read it again! another classic tale by Eva, love love love love love it! This book is really fascinating and the author has used good use of adjectives. This book is a wonderful rich adventure story and some parts made me emotional. This is a truly AMAZING book. I recommend this book to 11+ year olds as it is sad and moving. For example, the king is assasinated by a Nazi. The first hundred pages are just a build up for the plot so that part can be slightly boring but after that the book is so cleverly weaven together it makes you feel really good that you bought it. I love Eva Ibbotson, she puts SO much description into her books. If you have read this book, try, Journey to the River sea. This is also by Eva Ibbotson! I really like this book. It is a long book, but very touchful.